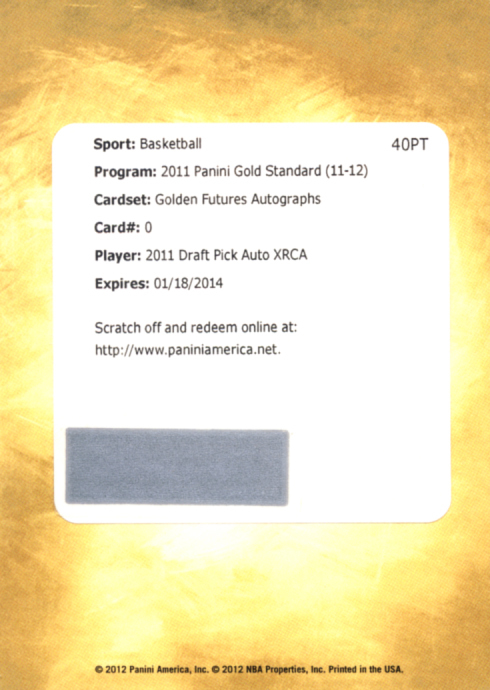 Panini Gold Standard Basketball was an exciting debut release last year, chock full of gold goodness along with some supreme hits and included the highest odds of pulling a Kobe Bryant autograph of any prior Panini product. 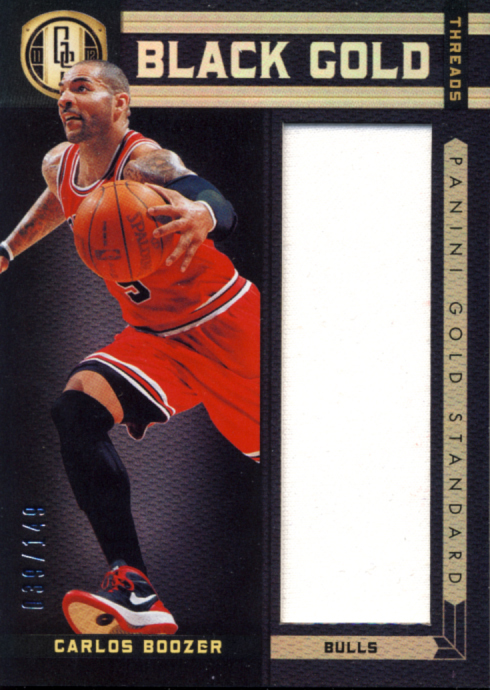 Now in its second year, Gold Standard suffers from a little bit of the sophomore jinx, both through no fault of their own, (the copious insertions of rookie redemptions) and some conscious changes in the checklist formatting and some design elements. 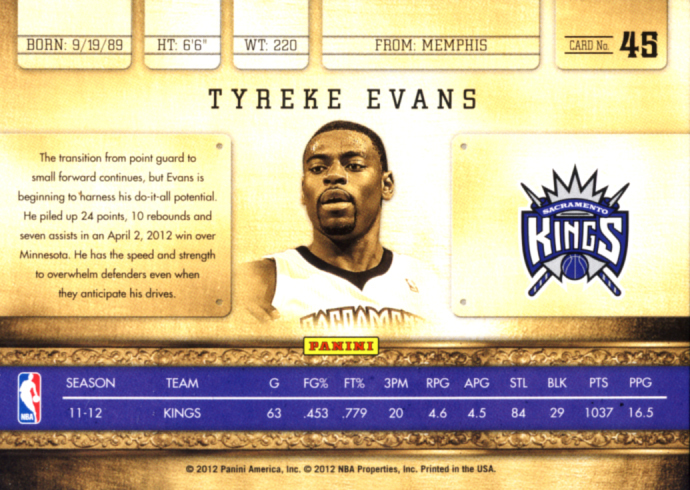 But not all of the changes bring 2011-12 Panini Gold Standard Basketball down. Many elevate this release and show great strides in the right direction. 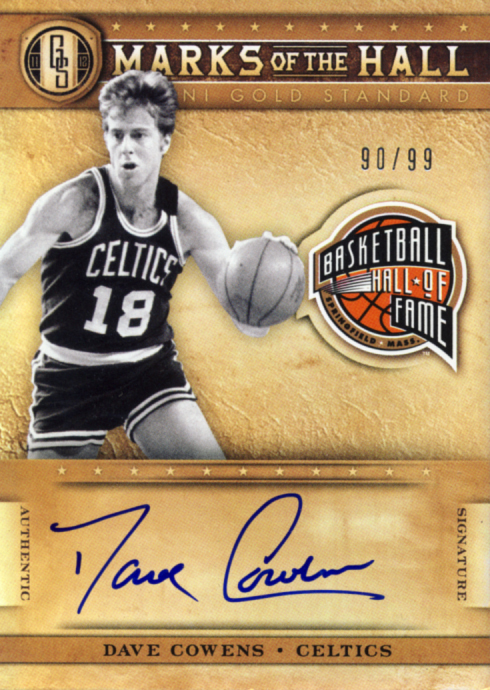 It is clear that Panini listened to collectors’ feedback and tried to effect positive change. 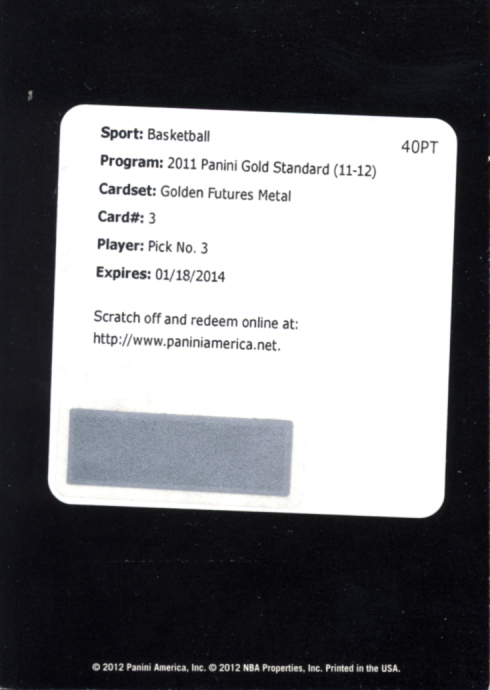 We place Panini Gold Standard Basketball in our premium cards category. Each box contains 1 – 10 card pack with 3 Autograph and 2 Memorabilia cards per box. 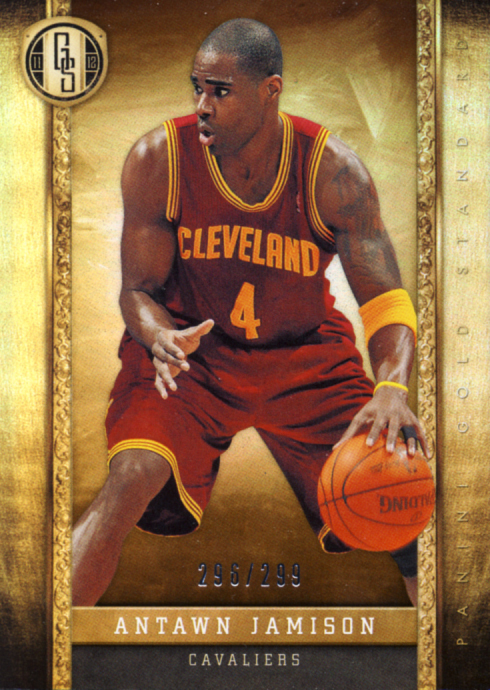 The base cards looked good before, but here is where some changes have had a positive effect. This current design looks fantastic, skillfully providing a more sophisticated look. 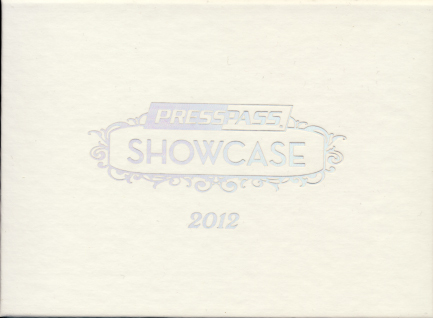 The Marks of the Hall cards are some of the best-executed hits so far from a design level. 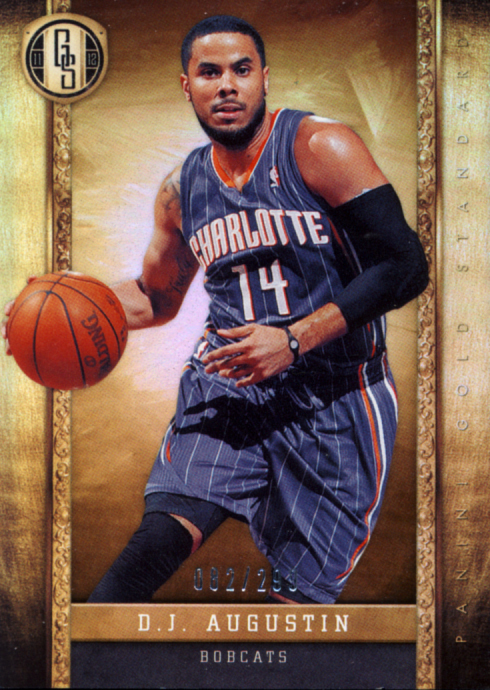 But the Hall of Gold Memorabilia cards look like Oddjob knocked out the Panini design team and treated all the Hall of Famers with a “Goldfinger” –esque overlay that, at least to me, comes off as a little creepy. 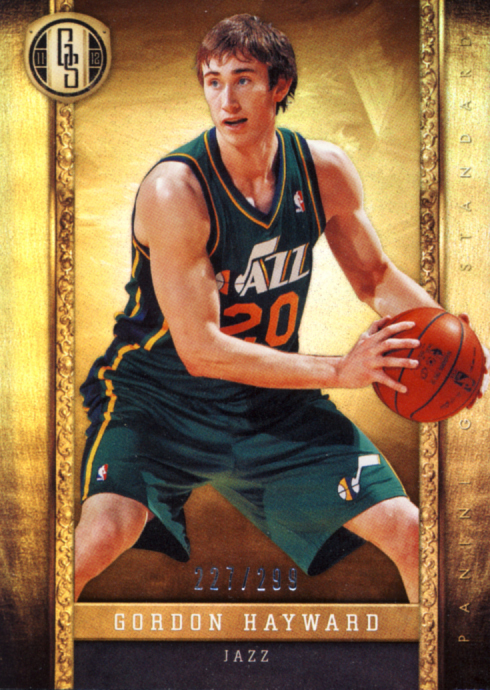 Dedicating the Gold Rush cards to a single insert this year instead of spreading them out amongst all of the inserts allowed for a uniform styling that makes the embedded real gold seem more special. 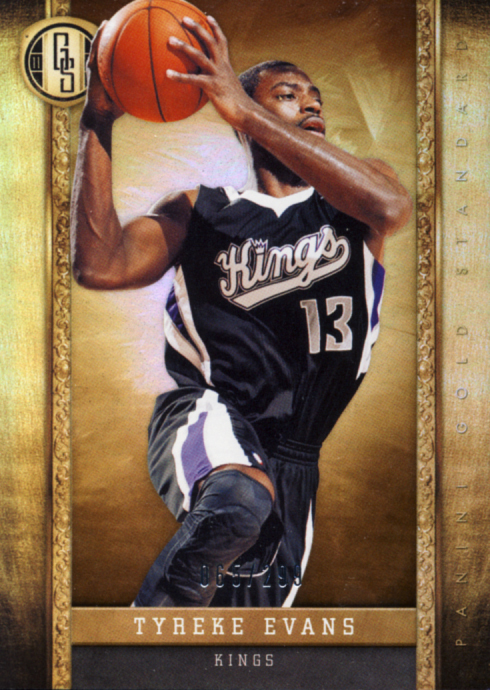 Other standouts are the 14K memorabilia cards and the Bullion Brand. The Black Gold cards are nicely executed but oddly enough seem to emphasize the now passé nature of single color swatches, especially when put up against their Prime counterparts. Gold standard is once again loaded with the best of the game, both past and present. 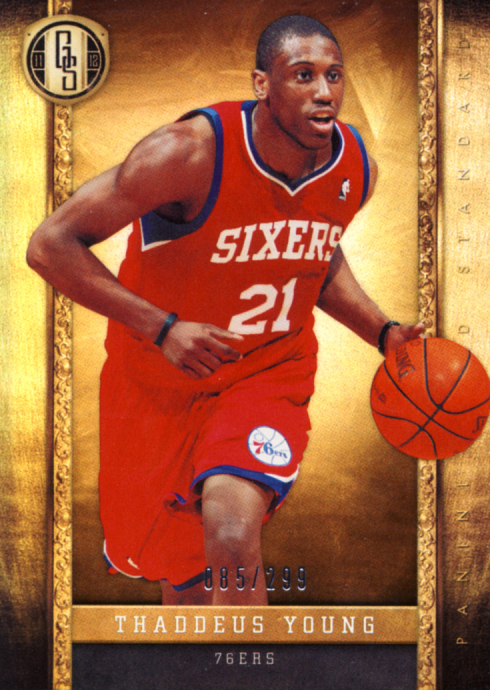 There are some dream cards to be pulled from this release. 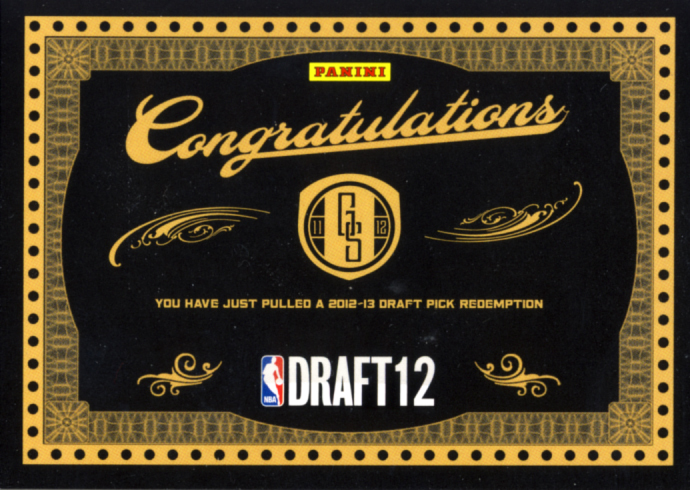 Due to the 2011 NBA lockout the only Rookie cards available are redemptions for future cards, both of which we pulled, the guaranteed Draft 11 Rookie auto and the Draft 12 straight rookie card. It is certainly not Panini’s fault that things are this way, but it does dampen expectations knowing that at least one of your hit cards will require redemption. This will become a bigger issue after the January 18, 2014 redemption deadline. 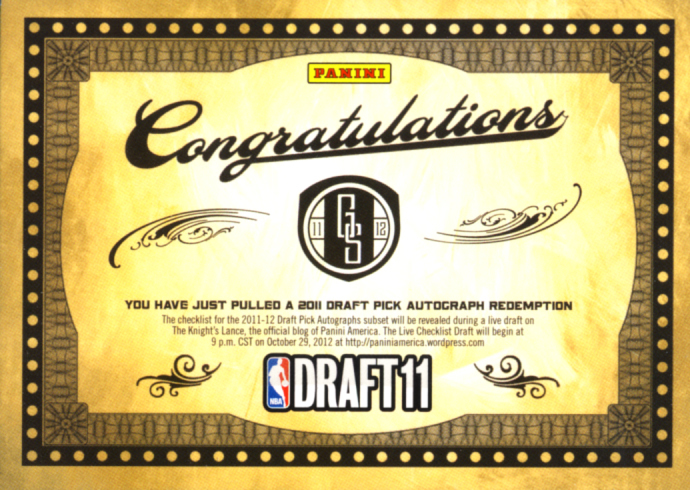 Other than that, the potential for pulling a great autograph is there, but it will not be quite as easy as last year. Mostly this is due to the reduction of Kobe Bryant autographs, which actually helps prevent the market from being flooded with them. It appears that the scales have been tipped to provide for more even keeled boxes, but that also seems to have reduced the number of boxes that will knock your socks off. 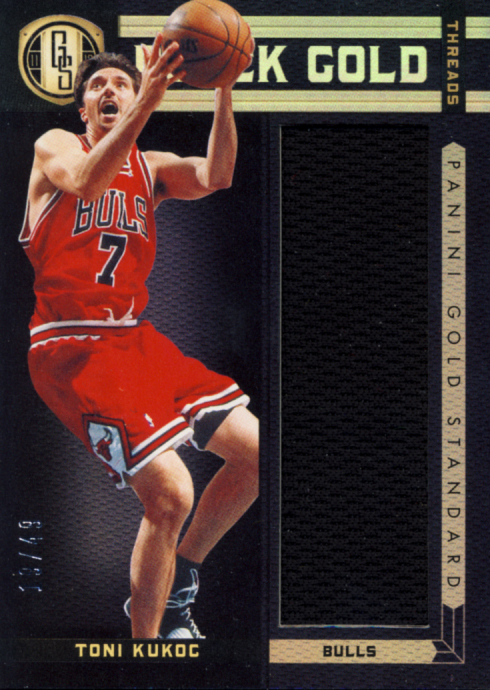 On the plus side for collectors hoping to hit real gold, confining the Gold Rush cards to a dedicated insert has not only cleared things up, it seems to have added a little over 500 more cards embedded with gold to the overall circulation. This is a product that justifies multiple purchases. If you can go by the case, it greatly increases you odds of mining some real gold. 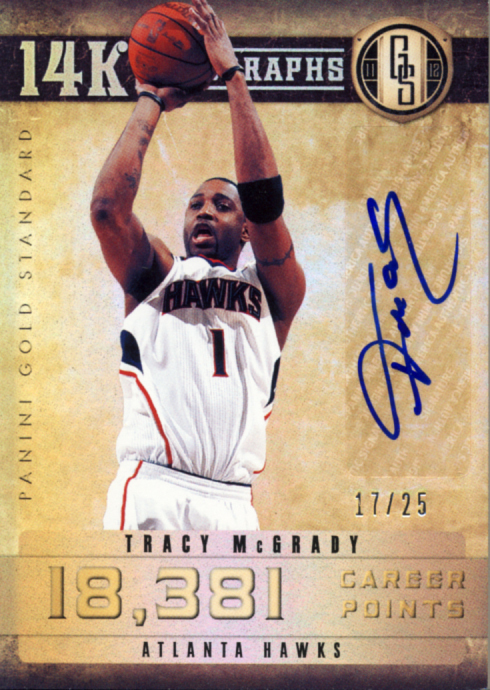 2011-12 Panini Gold Standard Basketball comes in shy of its stellar debut but shows signs of adjustment that should solidify its long-term appeal. Even with its faults this year, it still ranks as one of the better opportunities to walk away with something special.